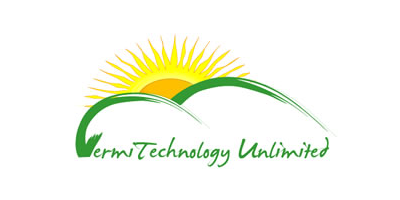 As a leader in the industry, Vermitechnology Unlimited is your source for pure organic fertilizers derived from black casting, worm farming and composting supplies. For over 40 years we have been providing quality products for wholesalers, distributors, retailers, growers and hobbyists. The first Vermitechnology Unlimited worm farm was constructed on a five acre parcel with very large oaks and some pines scattered in. It was built to utilize the natural shade rather than clear cut and then put up artificial shade or a green house operation. This farm has a total of 3,000 linear feet of worm beds which averaged 3100 lbs. of worms being produced each month. Some months better, some months worse, due to the heat. Our pure worm Black Castings™ are just that – Pure Worm Castings. There are no variables. Each bag, each month and each year consistently delivers high quality Black Castings™. Quality in – quality out that is what we are all about. The Best Pure Worm Castings in Today’s Market. Take a wide mouth 2 of the 20 oz. drink bottles and place 4 oz. Of our pure worm castings in one bottle and the same amount of another producer of worm castings or pure worm castings. 1987– Introduced the first classroom vermicomposting bin in Solano County, California. 1990– Worked with the University of California, Davis farm extension on the use of bio-humus produced by the worms as a complete fertilizer for tomatoes. Plots with worms and bio-humus out produced compost by 27%. 1992– Introduced vermicomposting in Florida. A commercial vermicomposting bin 3ft wide by 40ft long by 20in high, constructed at the East Marion Middle School, Ocala, FL. Stocked with 50 lbs. of hungry worm consuming 30 lbs. of kitchen waste every day. 1992– Installed the first commercial vermicomposting system in Brockville, Ontario, Canada on the grounds of a Physiciatric Hospital. Worms consumed between 400 to 600 lbs. of cafeteria waste per day. The bio-humus used for in potting mixes for the greenhouse operation. 1993– Speaker at the Vermicomposting Symposium in Toronto, Ont. Canada. Member of the panel of experts with Mr. Al Eggan & Mary Applehof. 1994 – 1997has been increasingly busy years for me – speaking at the National Composting Council, National Recycling Council, and many other organizations. Worked with the State Department of Environmental Education on the vermicomposting K-12 curriculum and introduced vermicomposting into the horticulture program at UF. The highlight of 1997, was a call from the White House, a presidential advisor on the domestic economic affairs responding to a bold statement that I made about worm castings in an interview with the US News and World Report magazine. 1998– In January I traveled to Baku, Azerbaijan to establish that country’s first vermicomposting operation. This was very successful and has become the foundation establishing this industry in the most ecologically devastated country in the world. 1998– In August I traveled to the Republic of Belarus to do a feasibility study on the commercial applications of vermicomposting and the marketing of the bio-humus and worms. I provide the with the latest technology, marketing techniques, and a business plan. This was a real challenge in country with a president that is a communist hardliner that does not want nor believe in free enterprise. Today– We are very excited about our recent Organic Materials Research Institute (OMRI) certification. Our Black Castings may now be used in the production of Organic products. We have been pioneering the use of castings in agricultural, turf management and landscaping applications. From golf courses to hydroponic growing our products are replacing traditional fertilizers. Clarification is needed for terminology used with the terms worm castings and vermicompost. The term “vermicompost” is used much like “compost”. Most people have no idea of how it is going to perform until they use it. Vermicompost contains worm castings and other organic matter that has been partially or fully composted. Who knows how much pure worm castings are found in vermicompost? The amount of pure worm castings will vary from batch to batch and from one vermicomposting facility to another. Introducing a handful of redworms into a compost pile does not produce a good quality of vermicompost. First we must realize that Pure Black Castings is an all-natural product that is capable of making the transition from synthetic fertilizers & pesticides to an esthetic turf management system improving the health of the soil, the health of the workers applying the Black Castings and the members & public using the course. Understanding the Difference in Natural Products and How they Work. Compost: This is a very good product that adds organic matter & soil microbes to the soil. This is excellent for gardening and farming but not good for golf courses. Here are some of the problems created with compost. This is food for the earthworms. When applied to the surface, it is very slow to break down. Promotes the layering effect and creates an anaerobic zone. Immature compost will harm turf and pull nitrogen from the soil. Very difficult to predict results in different batches of compost. Often contains chemical contaminates and root feeding nematodes. Compost tea must be brewed for 8 to 24 hours, used within 24 hours and requires frequent lab testing. Vermicompost: This is a very good product that adds organic matter & soil microbes to the soil. It also contains a lot of beneficial nutrients and micronutrients. It is usually sold as worm castings, but as the name implies it contains worm castings and unconsumed organic matter, which maybe food waste, animal waste, sewer sludge, yard waste, paper, etc. That maybe really good, but when you buy vermicompost you do not know how much of the material is worm castings and how much of the material has been composted. Most vermicompost is manure based that has not been composted to kill the pathogenic bacteria, weed seed, heavy metals & residual pesticides. Here are some of the problems created with vermicompost. All of the above problems exist, but the are not as noticeable. When 8 oz. of vermicompost is placed in a 2 liter clear plastic jug, with water, and shaken, you will see the lack of quality in vermicompost. The brewed vermicompost tea is usually a better quality, but it is still recommended to use the tea within 24 hours. Pure Black Castings: This product is produced indoor in a climate-controlled facility under strict quality control standards. No manures or yard waste in the worm bedding and they are grain fed. This is a new dimension for the production of a great fertilizer that just happens to be certified for organic use. This patented system is the culmination of 25 years of slowly transitioning from composting to vermicomposting and finally developing a system that works and is not contaminated with any soil. The worms in our facility are in an environment very similar to their natural environment. They consume the feedstock over and over again, until the microbes have broken down all of the organic matter with low salt index. There are natural microbes such as yeast, phototropic bacteria, lactic acid bacteria, actinomycetes & mycorrhizal fungi present in the worms gut. The soil microbes very rapidly reproduce because their average life span is two hours. When the microbes die, they release the nutrients and decomposed organic matter that the worms feed on. Worm have no teeth, they cannot consume the organic matter until the microbes break it down. The microbes both internally and externally are converting the inorganic minerals to the organic form. The sum of the energy and exudates from the dying microbes are used to feed other members of the soil microbial food web. They all end up going through the worm’s gut and being coated with organic calcium from their calciferous gland. This happens over and over again. Each time it passes though the worm, another layer of nutrients, humic acid, and live microbes is contained within the calcium coating. It is the different number of layers that gives the sustained release effect of the pure Black Castings. There is also nitrogen-fixing bacteria that convert nitrogen (N2) from the air into a form the plant can use. The microbes enhance soil structure, which improves infiltration and degradation of pollutants. A sterile environment caused by chemicals compacts causing run off. Each cast is covered with various thickness of calcium that enables the pure Black Castings to be effective over a long period of time. As the moisture dissolves the calcium, it is an immediate food source for the plants. Once the calcium has been dissolved, the nutrients, micronutrients, and microbes will be released into the root zone creating a healthy soil food web. You will not see any layering effects with pure Black Castings. Each year for 3 years you use less and less pure Black Castings. It just depends on how sterile your soil is and how much you cut back on the synthetic nitrogen and pesticide use.